When considering venues for your wedding, there are countless options. From beach side ceremonies to receptions held in swanky hotel ballrooms, every venue has a distinct vibe. If you’re planning a romantic wedding, garden venues are perfect. The combination of beautiful flowers and bright sunshine is sure to cast a romantic glow over your ceremony and reception. The soothing atmosphere is sure to inspire many great wedding ideas, from your decor to your menu. If you’re staying in Miami for your wedding, you’re in luck. 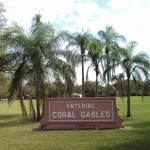 There are many wonderful venue options for brides planning garden weddings in Miami. This beautiful garden in Road Coral Gables, FL, is perfect for the Miami bride looking for a special place to celebrate her big day. 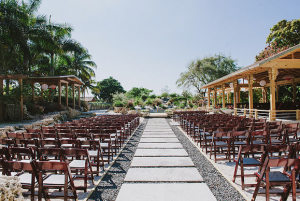 The 83 acre garden has numerous reception areas and ceremony spaces available, which is ideal for brides who want to customize their wedding. This unique spot has tropical flora and fauna that’s in bloom every day of the year. If you’re looking for great wedding ideas, this peaceful paradise is just about perfect. 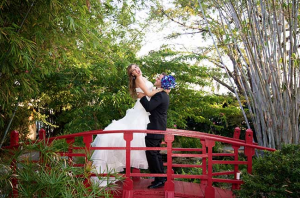 Plan your wedding at Fairchild Tropical Botanic Garden, click here! 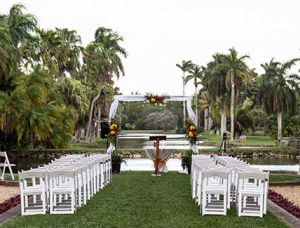 This tranquil outdoor space is a great venue for garden weddings in Miami. It has majestic oaks, Japanese imported koi, picturesque ponds, and lots of great spaces for wedding pictures. If you’re looking for a beautiful, relaxing way to spend your big day, the Redland Koi Gardens certainly fits the bill. Wedding guests will love navigating this intimate 2.5 acre garden, which features sparkling waterfalls, working fruit trees, and circuitous pathways. This garden is perfect for an intimate wedding ceremony. It provides brides with many beautiful locations for photographs, ranging from the Japanese Garden to the Great Lawn. Brides can hold their receptions in charming venues like the Butterfly Room or the Banyan Room. The Great Lawn is perhaps the focal point of the garden, with its water features and lush canopy of trees. Many brides choose to tent the lawn, which can accommodate up to 400 guests. 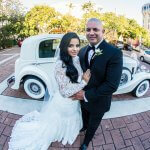 The garden hosts many events every year and is fully equipped to provide brides considering garden weddings in Miami with the services they need for their event. 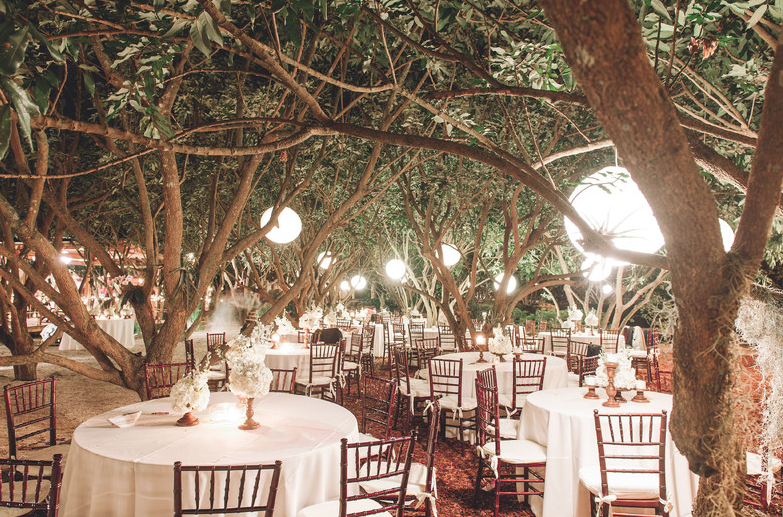 From florists to musicians to decorators, the Miami Beach Botanical Gardens can help brides coordinate their wedding down to the last detail. This hotel is a great choice for brides who want to luxury of a hotel wedding with the romantic charm of a garden wedding. It has a number of wonderful features, such as its stunning Art Deco design and its beautiful views of the Atlantic. You can also choose to use the hotel’s restaurants to serve cocktails and hor d’oeuvres. The hotel’s garden area features beautiful landscaping, fountains, a patio, and a peaceful atmosphere that can’t be beaten. 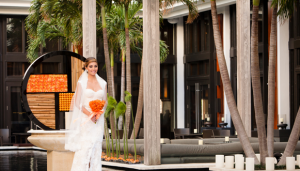 This is a great, upscale venue for brides considering garden weddings in Miami. The services available are sure to make you and your guests feel pampered.